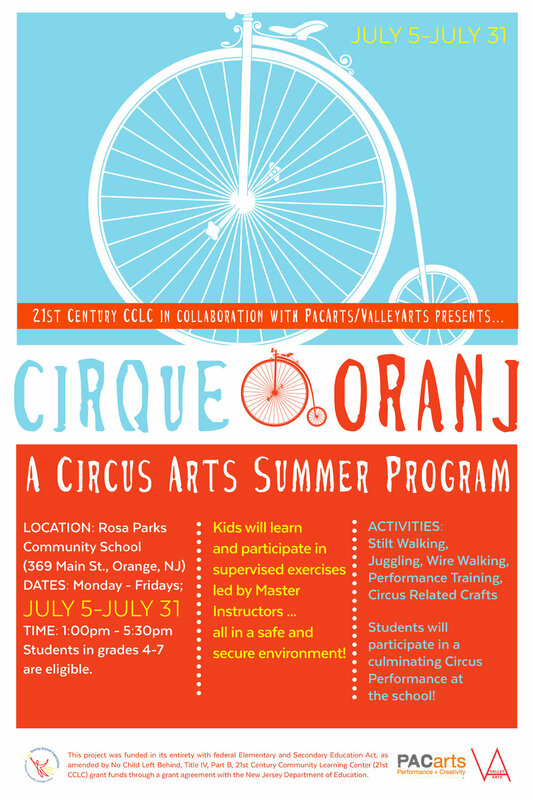 For the second year running, we worked with the Orange Board of Education to produce the Cirque Oranj Circus Arts Summer Camp. Over 40 children participated, learning new skills while having a great time. 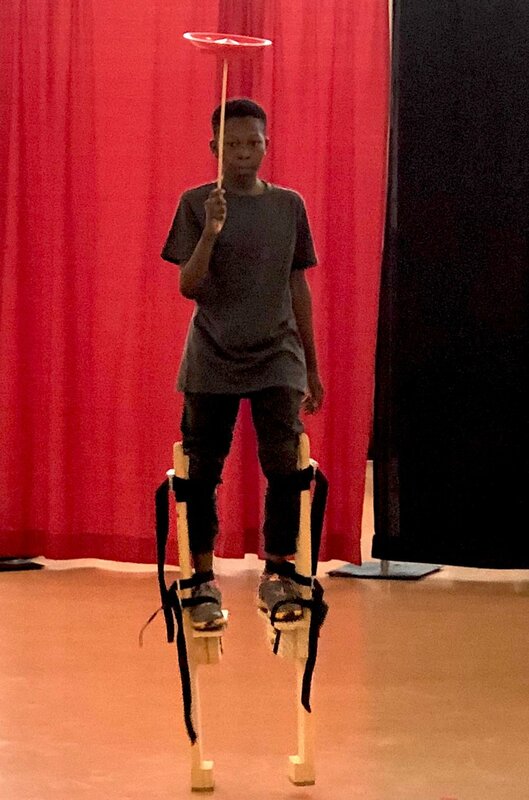 We partnered with Grins & Grins, two amazing people who bring the circus arts to schools and children through immersive programs. They, along with other amazing teachers, taught the campers juggling, unicycling, stilt walking and more. Our music teacher taught the kids drumming and performance. Our wonderful PACarts Coordinator, Avril Bogle, brought fine arts to the program. It all culminated in a circus performance in from of an audience of friends and family - and let me tell you - these kids BROUGHT IT! What a performance! These aren’t easy skills to learn, but we were wowed by what these campers learned in a few weeks of camp. Thank you to everyone who supported this camp! We can’t wait to do it all again next year! When you support ValleyArts through our cafe, ticket purchases, art buying, membership, donations, or just attending our events, you help make programs like this possible. Thank you!